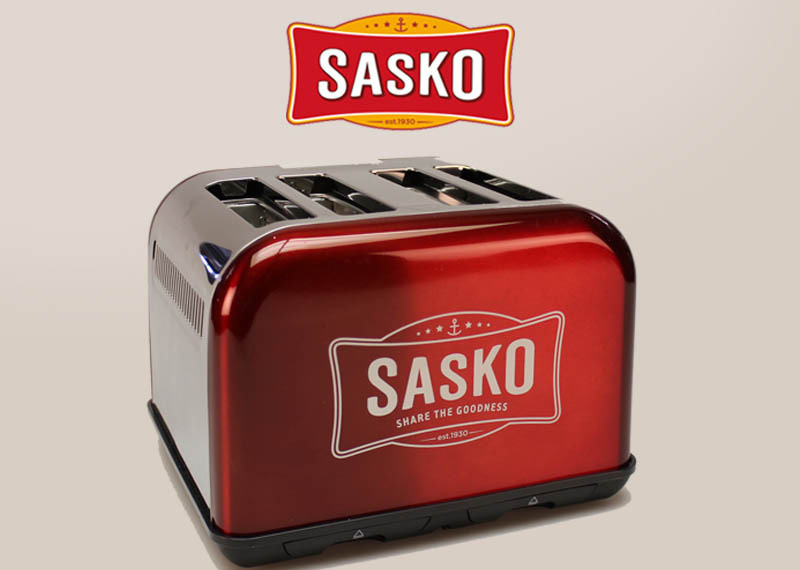 Stand a chance to win a SASKO product hamper and toaster valued at R2000. Cook a recipe using any SASKO product, then take a picture (the SASKO product must appear in the picture), then post it on the Afternoon Express Facebook Page. 1. The competition is open to South African citizens and permanent residents, except directors, members, partners, employees, agents, service providers and consultants of Cardova Trading (Pty) Ltd (hereafter “Cardova”), Afternoon Express (hereafter “AEX”), as well as any SABC employee including agencies, UIP and/or their spouses, life partners, parents, children, brothers, sisters, business partners or associates, who may not enter. 2. Entrants under the age of 18 must be assisted by a parent/legal guardian, who approves of, and consents to the entrant’s possession and use of the prize, should he/she be selected as winner. 3. The competition will be announced on AEX on Wednesday 3 August (hereafter “competition date”) between 17:00 pm and 18:00 pm. 4. The competition will close at 18:00 on 16 September 2016. No late entries will be accepted. 5. Entrants are required to enter by cooking any recipe using any of the SASKO products then post a picture of their dish, with a SASKO product in the picture, onto the Afternoon Express Facebook page. 6. The SABC, Cardova, and their agents accept no responsibility for any problems or technical malfunction of any communication network or any late, lost, incomplete, misdirected, incorrectly submitted, delayed, illegible or corrupted entries. The SABC, Cardova, and their agents are not liable for any costs incurred, responses received or any other consequences of user error. 7. The prize consists of a SASKO Toaster and SASKO product hamper all valued at R2000. 8. The winner will be selected by a panel of judges. 9. Cardova will notify the winner via Facebook where they will be asked to mail their contact details directly. Should the winner not contact Cardova back within 21 days, a new winner will be selected. 10. The judges’ decision is final and no correspondence will be entered into. The SABC, Cardova, or their agents will not be held responsible for any disputes arising from the competition or prize awards. 11. Prizes are not transferable, and cannot be deferred or exchanged. 12. Winners use prizes at own risk. The SABC, Cardova, and their agents shall not be liable for any loss (including, without limitation, indirect or consequential loss), damage, personal injury or death which is suffered or sustained (including but not limited to that arising from any person's negligence) in connection with this competition or accepting or using the prize/s. 13. Cardova undertakes to send the prize to the winner within 60 days of confirmation of the winners’ contact details and address. The SABC, Cardova and their agents accept no liability for any undelivered prizes, or prizes which may have been damaged, stolen or lost during delivery. 14. Entrants will be deemed to have accepted these rules and agree to be bound by them when entering. 15. The SABC, Cardova and their agents reserve the right to cancel, modify or amend the competition at any time, if deemed necessary in its opinion, and if circumstances arise outside of their control.